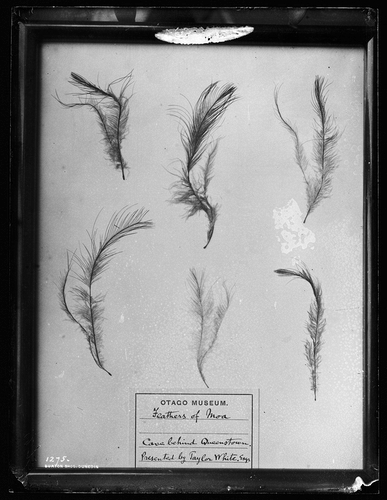 Feathers on display in Otago Museum. Label in image reads, 'Otago Museum. Feathers of Moa, Cave behind Queenstown. Presented by Taylor White. Esqr'.